"I think...if you make the gingerbread house, you should eat the gingerbread house... 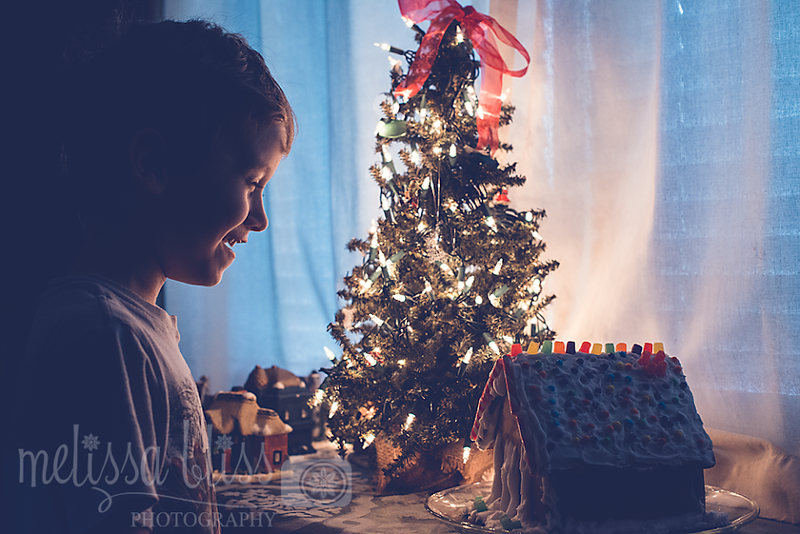 I really want to eat that gingerbread house." Oh that is such a splendid photo! Oh my- I remember having the same conversation with my mom when I was little. She would make the most extravagant gingerbread houses. They were so beautiful but all I wanted was all that candy. I agree with him...my daughter said the same thing last year. Awe, that's what it's all about! I agree! Love this image!